Do you ever see something that appears to be different, but in reality, it is practically the same? Much like a poorly driven Corolla. It looks different outside of Richmond, yet, it is still a poorly driven Corolla... Well, that would be the case for Vietnamese House out on Hastings. 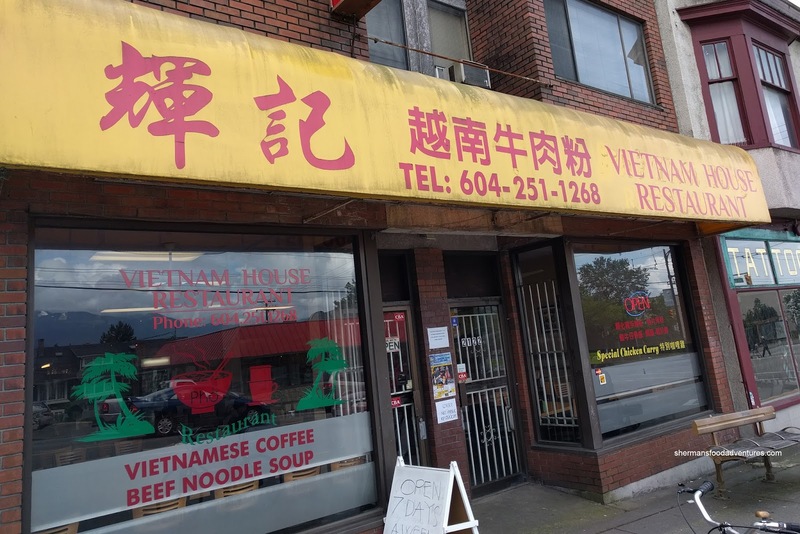 It was originally the first location of Thai Hang (the second is on Kingsway at Victoria). From the outside, it appears to be a brand new restaurant. However on the inside, it looks familiar including much of the staff. Milhouse and I decided to check it out after Sunday hockey for lunch. 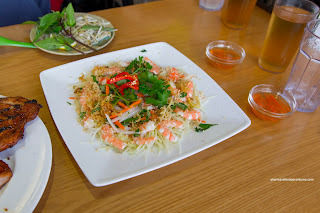 We wanted to go off the board, so we shared the Green Papaya Salad with Prawn & Pork as an appetizer. Nicely plated, this was a substantial plate of food. With plenty of crunch and bright flavours, it was indeed appetizing. There was a good balance of sweet and tartness to go with the considerable amount of heat from the red chilis. The ample shrimp were prepared properly being meaty with an appealing snap. 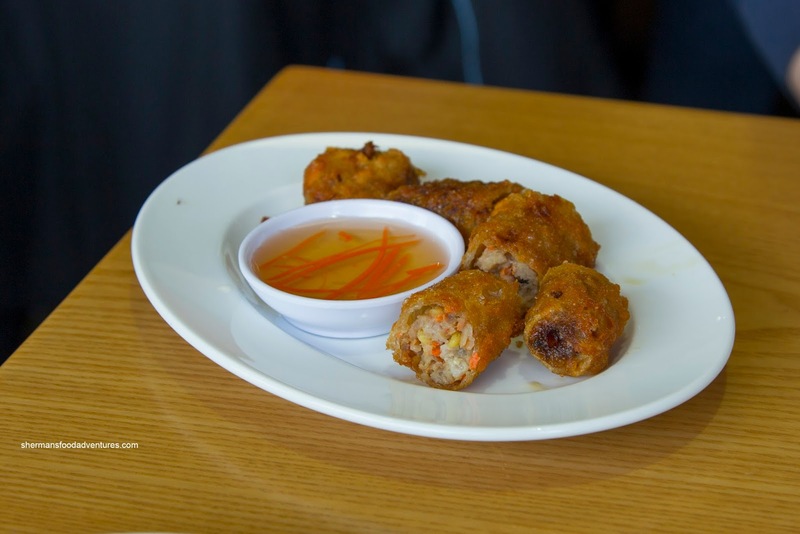 As part of our combos, we got some Spring Rolls as well. As evidenced in the picture, these were rather puny in size. However, they ate better than they looked. With a legit crispy rice wrapper (that was not overly greasy), there was a crunch before heading to the moist and slightly sweet pork filling. There was just enough onion for a touch of sharpness without being overwhelming. For our mains, Milhouse went for the Phở Đặc Biệt that was fairly clean-tasting. There was a noticeable star anise licorice finish to the lightly sweet broth. Again, the portion size for this was generous featuring chewy noodles that were not clumpy. The slices of meat were thin and tender while not being dry in the least. 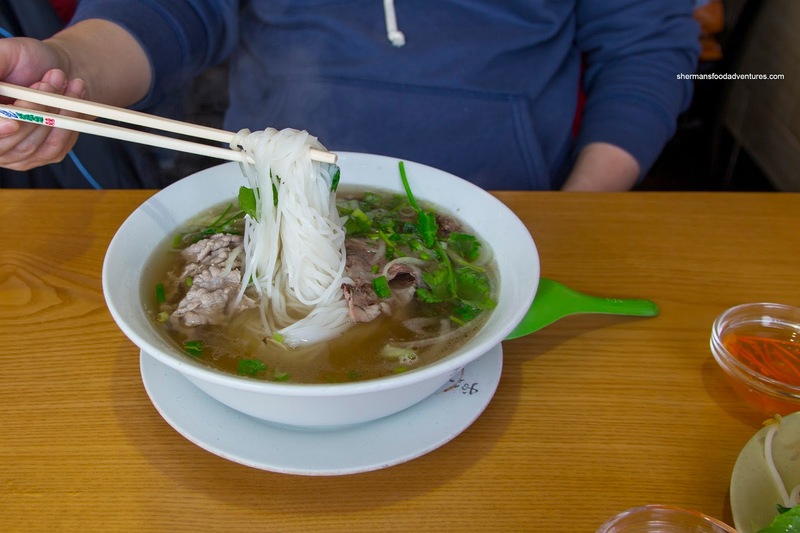 This was a solid bowl of Pho. 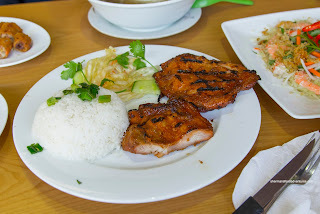 For myself, I had the Grilled Lemongrass Chicken with Broken Rice. Well-charred and also well-portioned, this was yet another solid offering. Accompanying the chewy, while not dry, rice were 2 pieces of succulent and well-seasoned chicken. There was noticeable caramelization of flavours as well as a proper brine as the meat was juicy despite being cooked with high heat. On another visit, I decided to go off the board again with the Bun Mang Vit (Duck with Vermicelli). 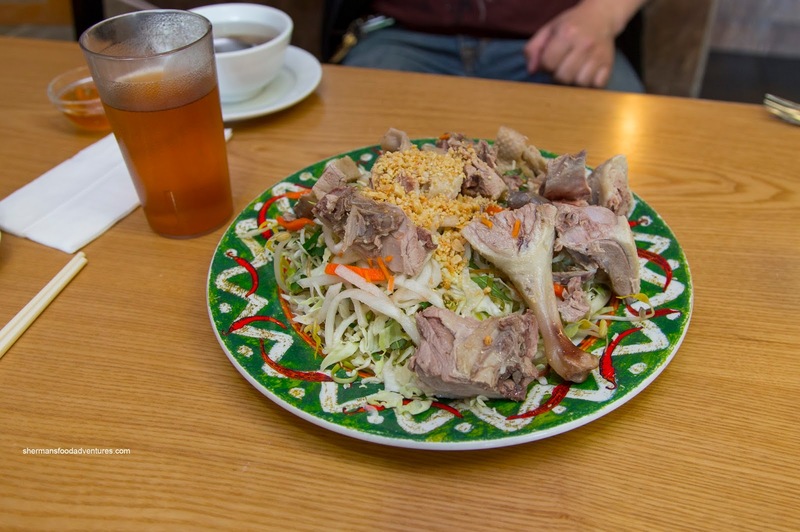 I only took a picture of the duck atop cabbage and basil since the bowl of vermicelli and bamboo shoots was nothing much to look at. This was an enormous amount of duck which was tender and plump. Dipped into the ginger fish sauce, that was all the flavour that was needed as it produced hits of tang, saltiness and sharpness from the ginger. As for the soup, it was a bit salty and I could definitely taste the pungency of the bamboo shoots. 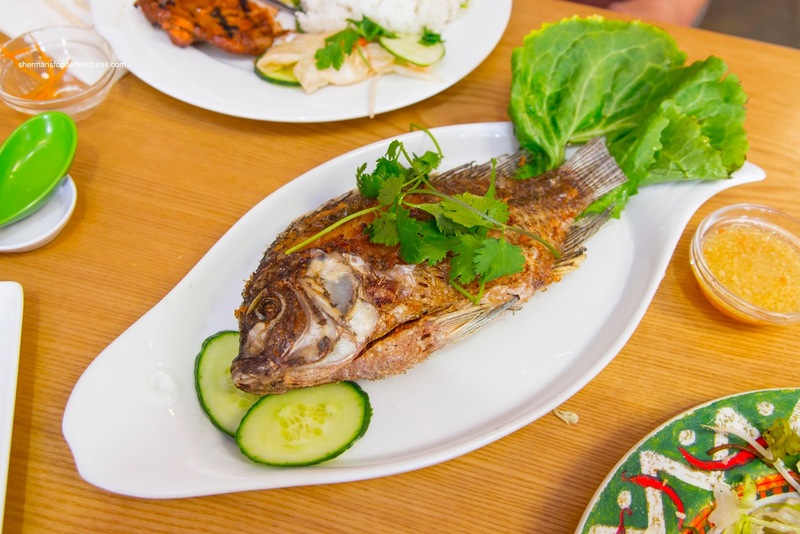 For the table to share, we got a Fried Whole Tilapia ($10.00!) which was super crispy on the outside while still moist on the inside. 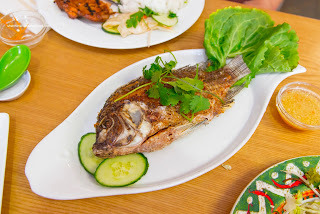 It also came with a ginger fish sauce dip. 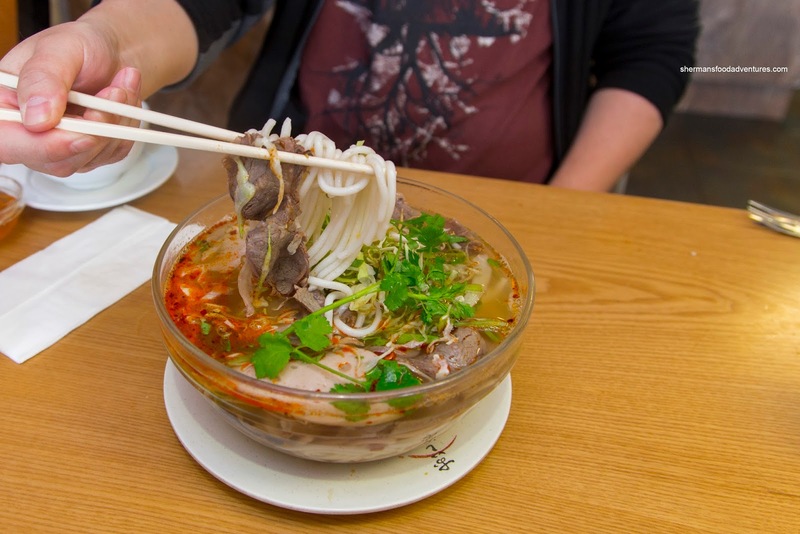 Kaiser Soze decided on the Bún Bò Huế which, you guessed it, was extremely large. Served in a clear bowl, it was also obvious they didn't skimp with the slippery lai fun and the ingredients either. This was legit as there were 2 pork knuckles, pork blood and pork loaf to go with the rest of the sliced meats. Although the broth was a bit mild in terms of spice, there was a nice background seafoodiness while the salt content was bordering on high. 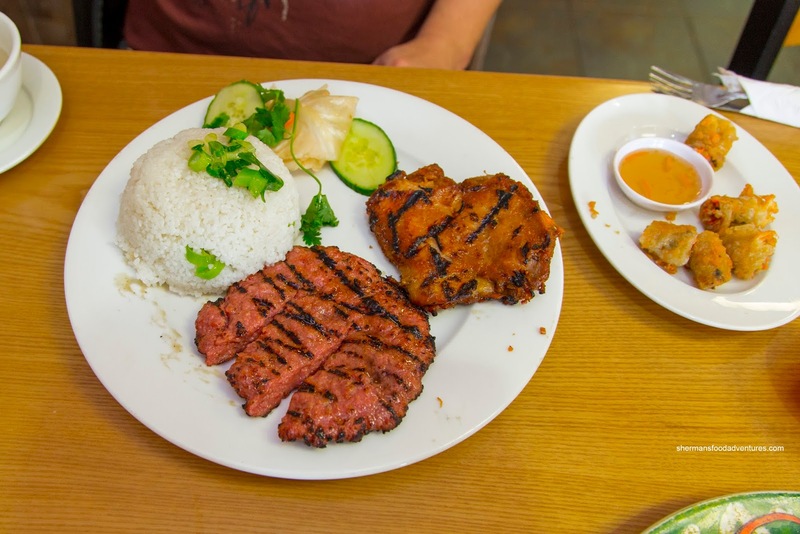 Milhouse went for something similar to what I had last time in the Lemongrass Chicken and Minced Pork Patty with Broken Rice. Yep, the chicken was the same while the pork was well-charred, sweet and juicy. Again, the portion size was more than enough. After 2 visits to Vietnamese House, it was clear that they retained the portion sizes and reasonable pricing from Thai Hang. We will be back for a 3rd visit sometime in the future.